In celebration of Raceweek, Blitz Conditioning activated the city by taking their Spin and HITT class to the streets. 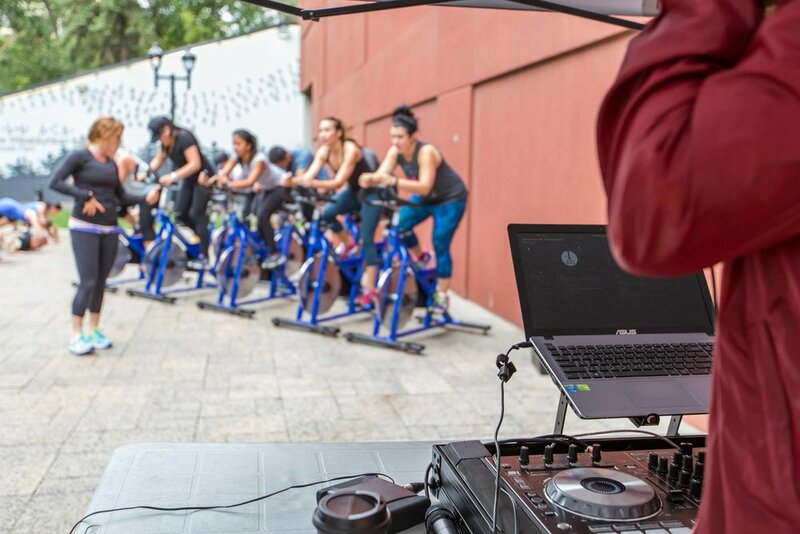 We invited over 200 Edmontonians to sweat it out throughout downtown Edmonton, and turned up the heat with DJ Joses. When our city slickers were finished with their fitness we invited them to join Yardstick in making their new neighborhood home. The street party of the summer, equipped with live music, food and beer, brought a huge impact to the city.